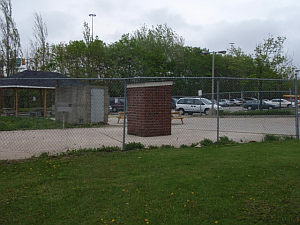 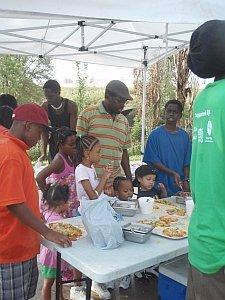 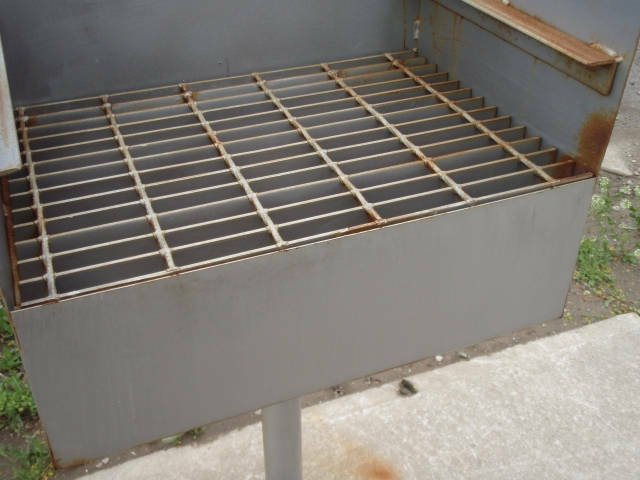 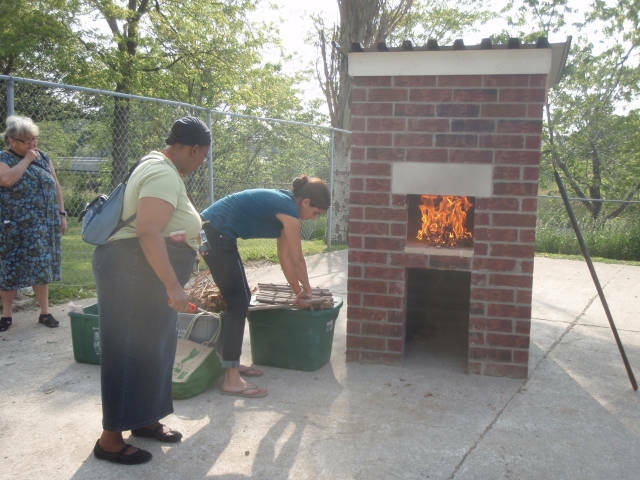 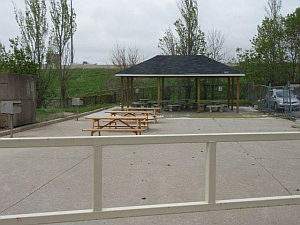 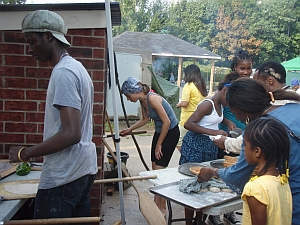 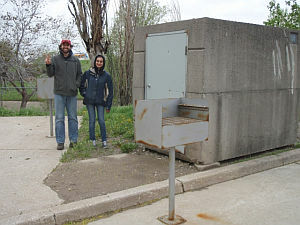 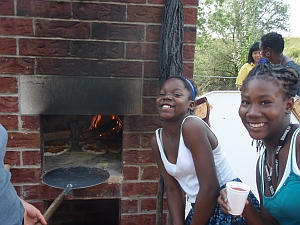 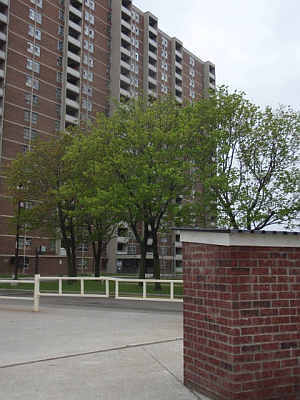 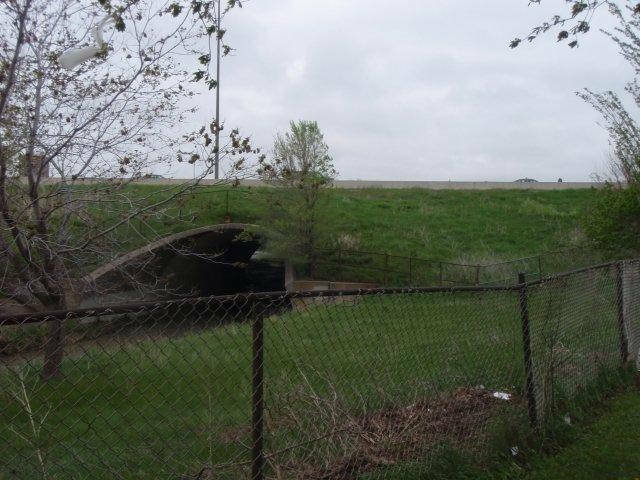 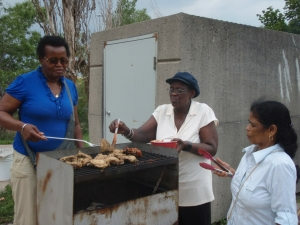 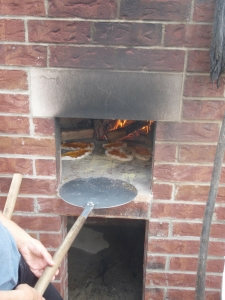 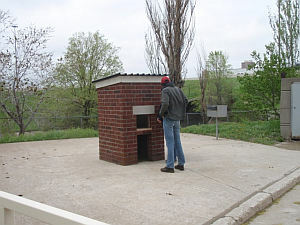 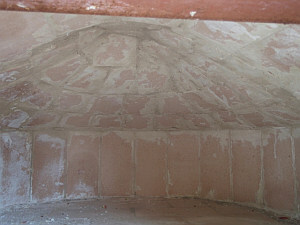 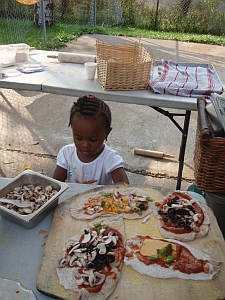 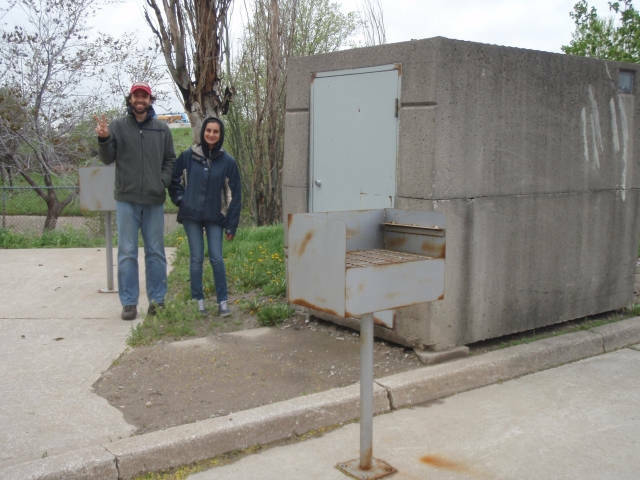 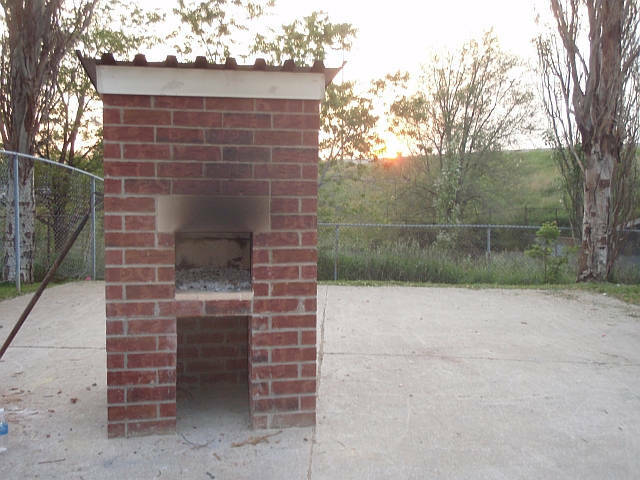 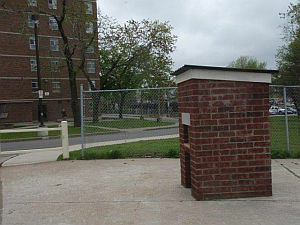 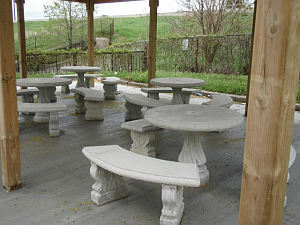 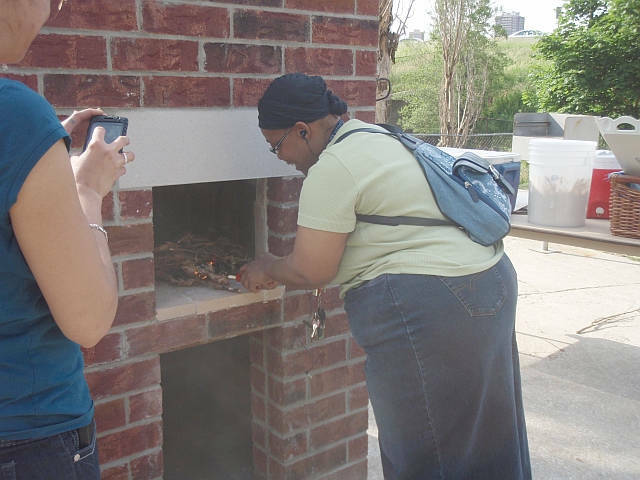 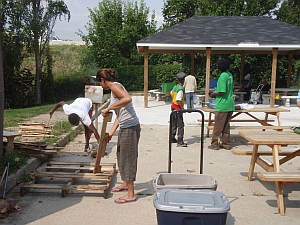 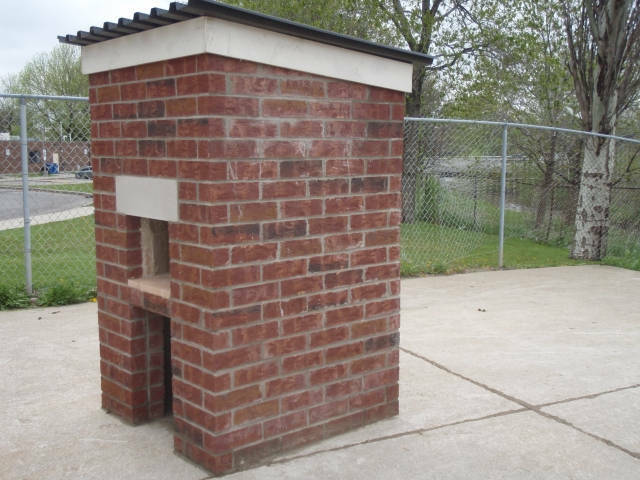 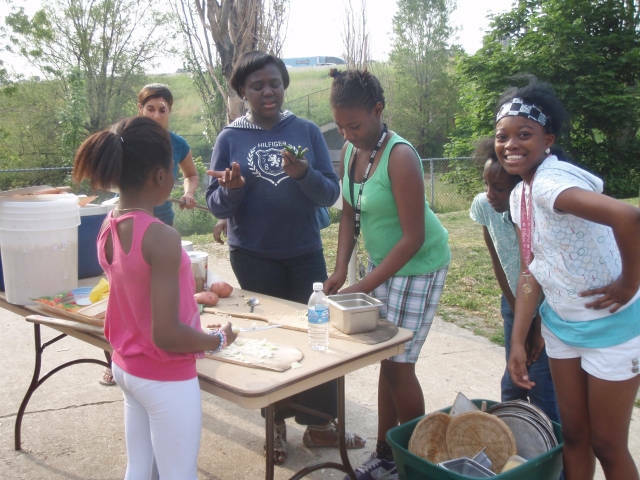 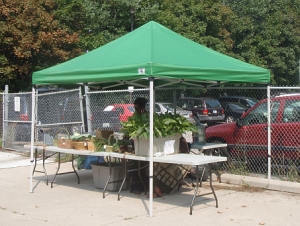 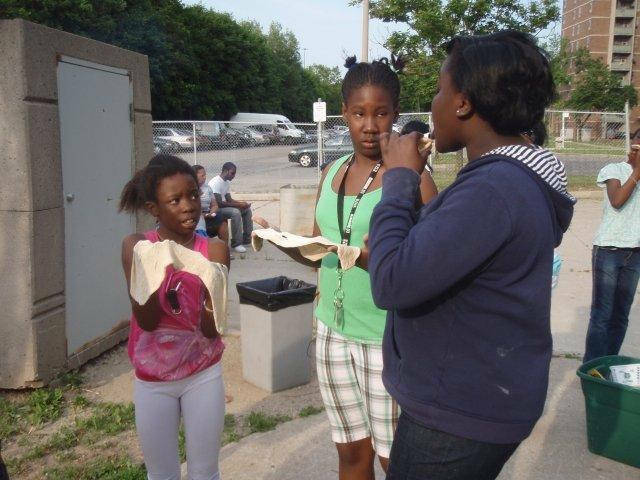 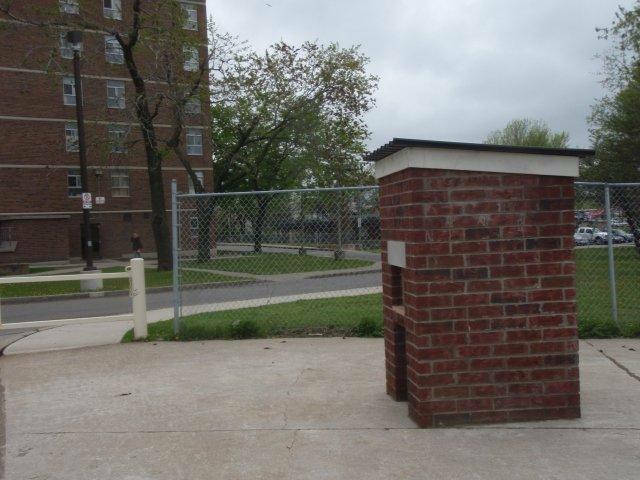 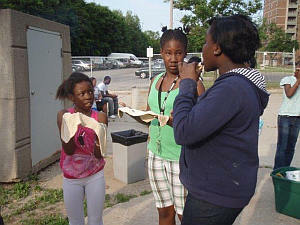 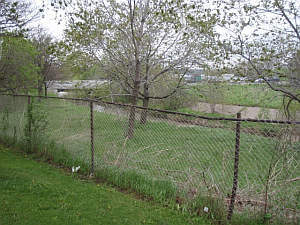 Some CELOS researchers visited the Falstaff bake oven on May 18, 2011 to see what it was like. First tryout day for the oven. 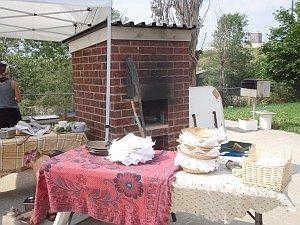 sooty oven front shows it's been used!